Vocabulary connected to rooms and furniture. Grammatical structures connected to prepositions of place and the present continuous tense. Reading comprehension. 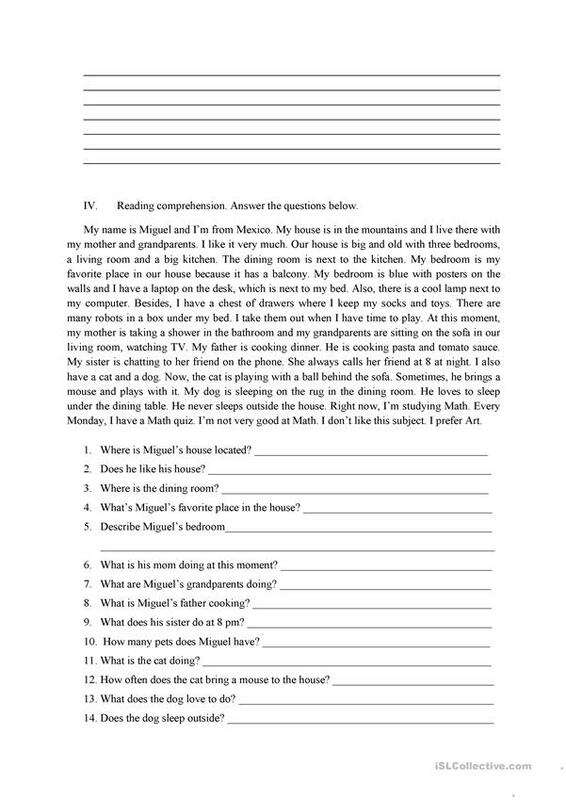 The above downloadable printable is a great resource for elementary school students at Elementary (A1) and Pre-intermediate (A2) level. 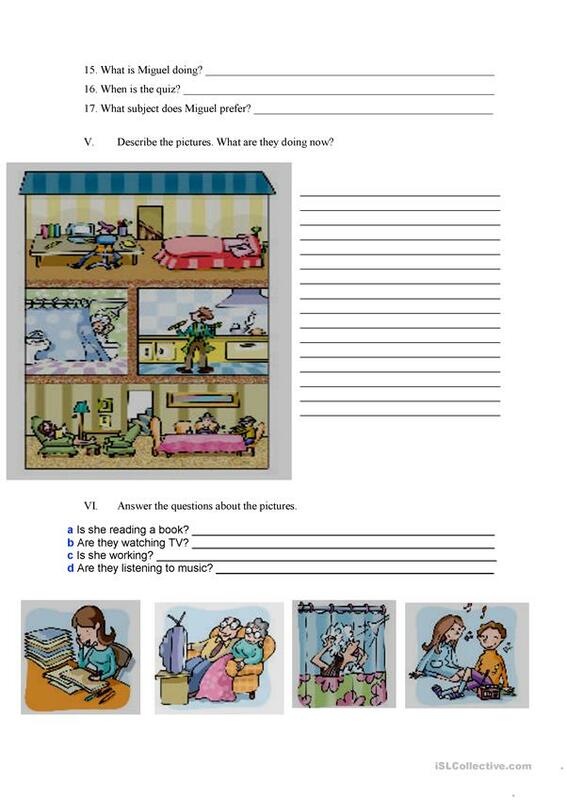 It is great for consolidating Prepositions of place and Present continuous (progressive) tense in English, and is useful for strengthening your pupils' Reading and Writing skills. 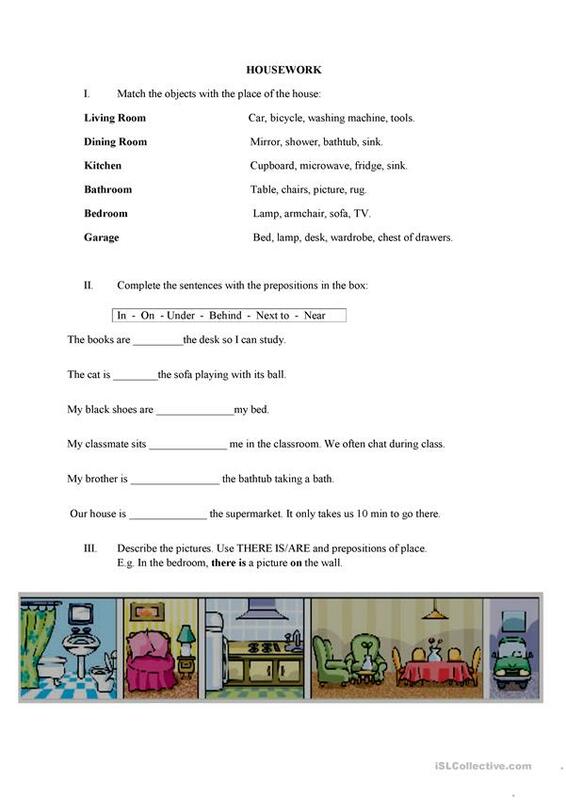 It is focused on the vocabulary topic of Furniture. paceeta is from/lives in Chile and has been a member of iSLCollective since 2013-07-24 04:49:43. paceeta last logged in on 2014-12-04 03:26:53, and has shared 3 resources on iSLCollective so far.